*This information is being released in coordination with the Speedway Police Department. Indianapolis – Shortly after 1 p.m. today officers from the Speedway Police Department received information of a possible wanted subject, 57 year old Douglas Gaultney of Knox County Indiana, in a white van in the area of 18th and MacArthur Lane, in Speedway. Officers were able to locate and make contact with Gaultney, who was the sole occupant of the van. Gaultney immediately brandished a shotgun causing the officers to move to a safe position and call for additional help. Gaultney was making statements that led police to believe he did not have intentions of exiting the vehicle. Shortly before 7 p.m. members of the Indiana State Police SWAT team and the Speedway Police SWAT team attempted less lethal tactics of tear gas and use of an armored state police vehicle to encourage Gaultney to peacefully surrender. However, Gaultney chose to get out of the van armed with a shotgun that he pointed at officers. This action resulted in several police officers shooting Gaultney who then fell to the ground. Life saving measures were immediately initiated by police officers until medics, who were staged nearby, were able to provide direct first-aid to Gaultney. Gaultney was then transported to Eskenazi Hospital in critical condition and at the writing of this release was in surgery. No police officers or other citizens were injured during this police action shooting. Crime Scene Investigators are currently on the scene collecting and preserving evidence, as well as investigators from the Indiana State Police and Speedway Police Department. Assisting Agencies: Speedway Police Department, Indianapolis Metropolitan Police Department, Speedway Street Department, Speedway Fire Department. The Speedway Police Department encourages you to call if you feel something is suspicious or potentially warrants their attention. They are more than happy to patrol any areas necessary to help identify or deter any potential dangers. If you feel something to be suspicious NEVER hesitate to call the department. The Speedway CVS pharmacy was robbed on Tuesday, May 19th. The suspect is a black male, late teens to early 20’s, wearing a gray hoodie and black sunglasses with gold trim. He was last seen running from the business toward the Eagle Creek Court Apartments area. If you have any information on the whereabouts of the suspect please contact the Speedway Police Department at (317) 246-4313. 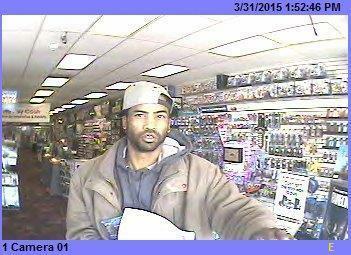 Wanted for Theft from the Game Stop, occurred on March 31, 2015, at approximately 2:00 p.m. Suspect took items from the store. No vehicle description given. 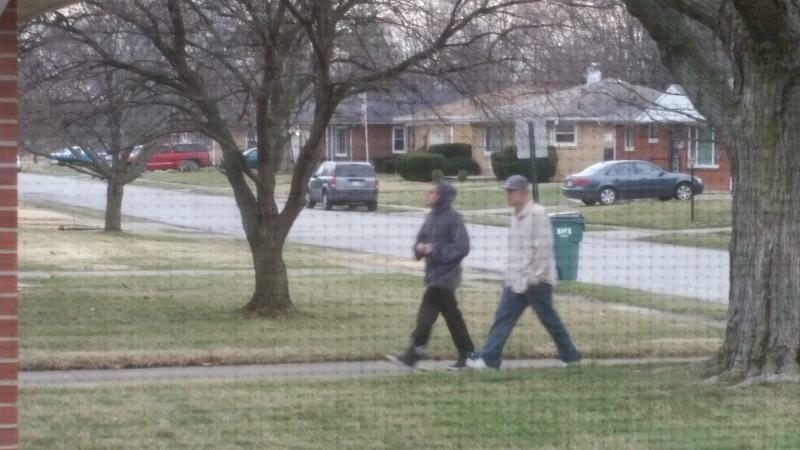 Contact Detective Kyle Hodges with information (317) 246-4300. A Speedway resident’s observation and quick reporting to the Speedway Police Department last night led to the arrest of the suspect regarding a drug deal near Pam’s Pitstop Pizza. Steve Satterly recalls the details of his encounter at his blog, Staying Alive: How to Act Fast and Survive Deadly Encounters. Steve is also an Alumni of the Speedway Police Department’s Citizens Academy. Police officers are paid to make such calls, and have been given training on making such calls. They would love nothing better than to get a call like mine, go check it out, and have it be nothing. Or, a situation like this one occurs, and a bad man selling poison on the streets is removed and put in jail. Situational awareness is not only being aware of what is going on around you and being able to recognize when something is amiss, it’s the starting point for a string of decisions that can mean the difference between catching a criminal or allowing the crime to continue, or in some instance, life or death. Thank you Steve and to the Speedway Police Department! This is an excellent example of how Speedway residents can partner with the Speedway Police Department, report suspicious activity, and can effect real change in our town and help us stay safe.